I hope you have had a rejuvenating and uplifting 19 days of the Fast. I so enjoyed sharing daily inspiring music on ‘Lofty Notes’ group on Facebook. We are seeing signs of spring all around which reminds me of growth and beauty everywhere. 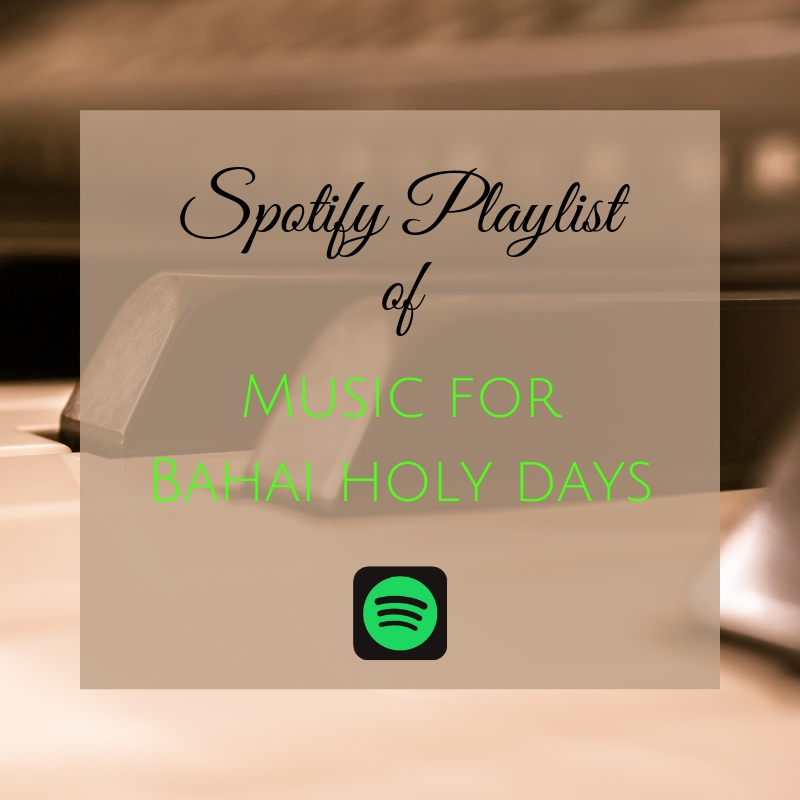 As a small gift, I have put together another Spotify playlist (that is also growing) :) of my favourite songs from different musicians for Bahá’í Holy Days. By the way, I’m waiting expectantly for the album packaging to arrive on my doorstep. Can’t wait for you to hear the music! If you want to stay updated, you can join the mailing list for more info.